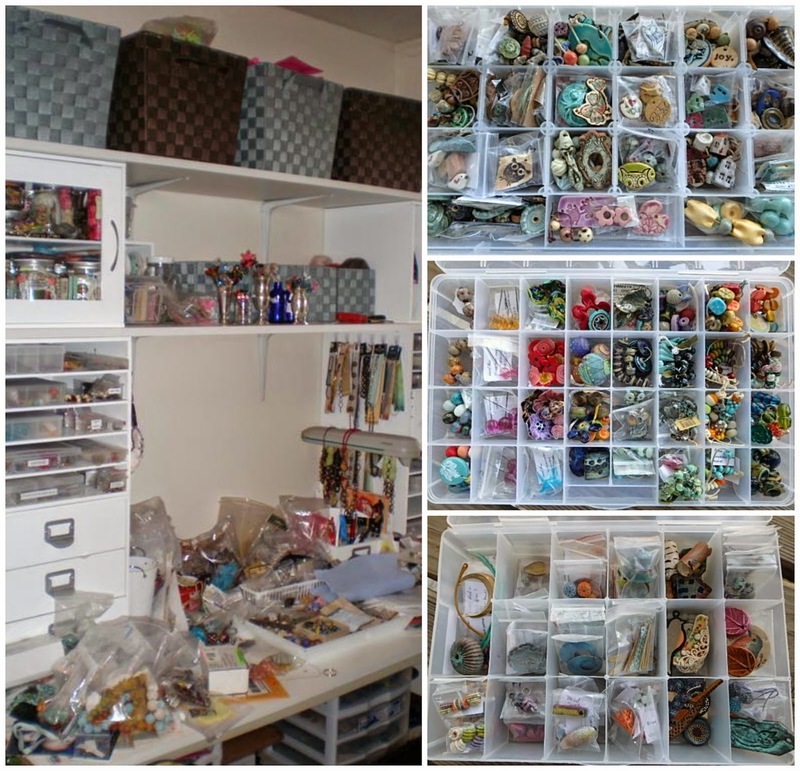 How did you get into beading and what was the first piece of jewellery you made? I have always loved making things with my hands: cross-stitch, historic costumes, scrapbooking, etc. One day I spent extra time looking at everything my local craft store sold. There were some pretty beads on sale; lovely ball beads made up of maroon crystals. I strung them on a beading chain and my mother took the necklace off my neck and said I couldn’t have it back. Of course, I had to go buy more beads to make another one and I just never stopped buying beads. 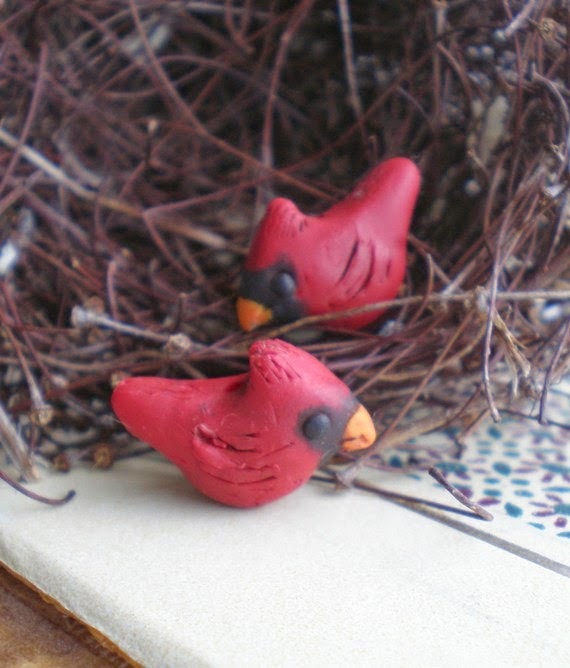 What led you to start making polymer clay beads? I found out I am a microcosm person. I like the tiny details in the world. With polymer clay I can manipulate, twist and sculpt on a tiny scale. And the biggest benefit with two young children is being able to leave a project, come back later, and it hasn’t dried out or become misshapen. Do you have a favourite piece or pieces, be it jewellery or beads? Details, details, details...I love my more detailed woodland animal beads that I make. 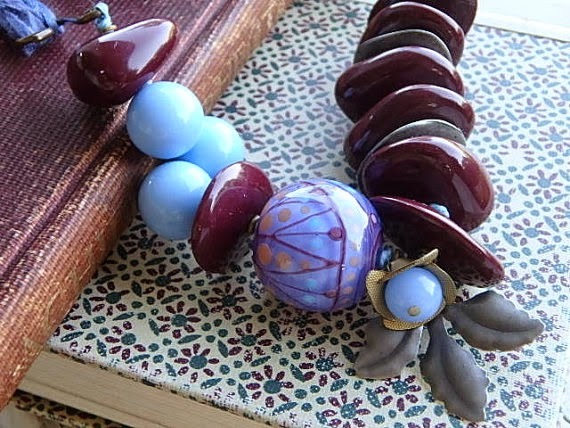 In other bead artists I love the artful details, whether it is a crackle finish, texture, intriguing color combinations, or the shape of the bead. For jewelry I am all over the place. I like every type of jewelry I see. 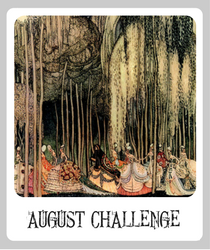 I am mostly drawn to rustic, organic, free flowing designs. I enjoy jewelry designers who create with passion in their work. It is all such eye candy. 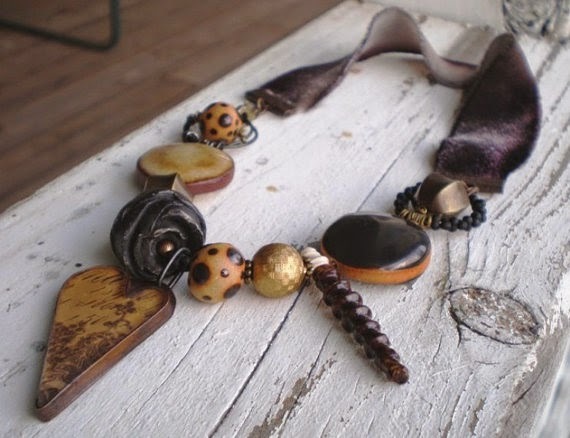 I might challenge myself to venture into minimalist, romantic, Goth, phrase jewelry or bead weaving but I usually feel most comfortable stringing with beads, fiber and chain. Do you have a favourite bead artist, and is there a jewellery designer who has particularly influenced your work? I keep accumulating favourite bead artists and jewelry designers. I guess it is my thirst for unique pieces for my own work. 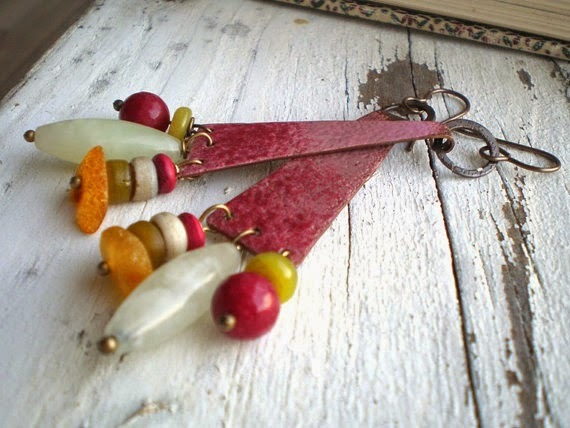 For polymer beads it is Christi Friesen. She captured my attention with her techniques. She wasn’t doing polymer clay like I had seen before: caning, using molds, applying paint. She mixed the colors she wanted with the polymer and shaped it all by hand. And that is how I do my polymer pieces, too. Do you tend to plan your designs in your head or do you arrive at them by playing around with what you have in your stash? I am very open to how I plan a jewelry design. Sometimes a design comes to mind and I dig through my beads to make it. I do a lot of sketches when I am travelling or can’t get to my stash of beads right away. 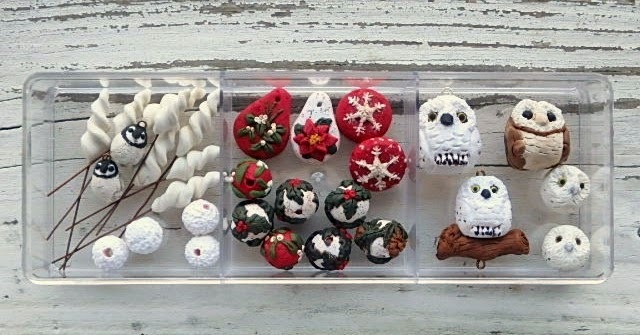 But most of the time I will open my containers of beads and create a piece around one artisan bead. I have seen other artist work spaces and mine is just as messy as the next persons! Sometimes ideas come so fast for a design, I may has 2-3(or more) jewelry designs in progress at any moment, a laptop fitted in there somewhere, new artisan beads that have arrived that are not put away yet, several blobs of polymer clay either left over from a project or halfway through a new design, and most wonderfully, my kid’s art work. And in amongst what others see as chaos I see a world of jewelry potential. 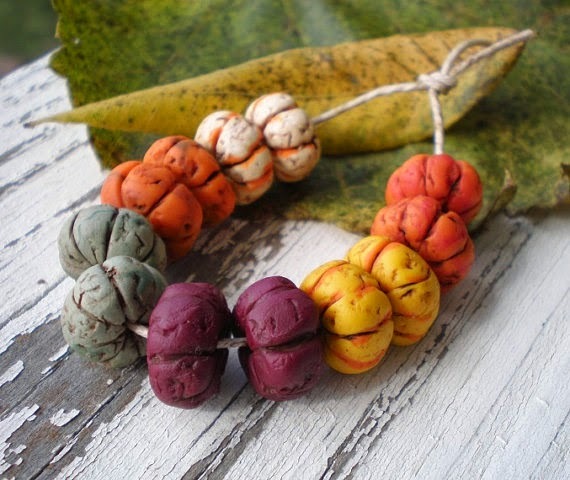 What is your favourite aspect of working with art beads? Art beads are art. I am holding a tiny (remember I LOVE tiny) masterpiece in my hand. Some of my art beads have me so under their spell I don’t want to create with for fear I’ll have to let it go. Some whisper in my ear what jewelry design they want to become. And that whisper and need to horde happens to every person who buys an art bead. They are a fingerprint of the artist’s personality. I really enjoyed finding out more about Rejetta's work and inspiration. In very good news, this collection of winter-y lovelies are headed to Rejetta's shop today, Saturday, 15th November at 10am CST. To keep up to date with all her latest designs and shop updates, be sure to follow her Facebook page. You are so awesome Claire!! Thank you so much for asking me for an interview. All those years ago buying a handful of beads, I never imagined everything that has come afterwards! 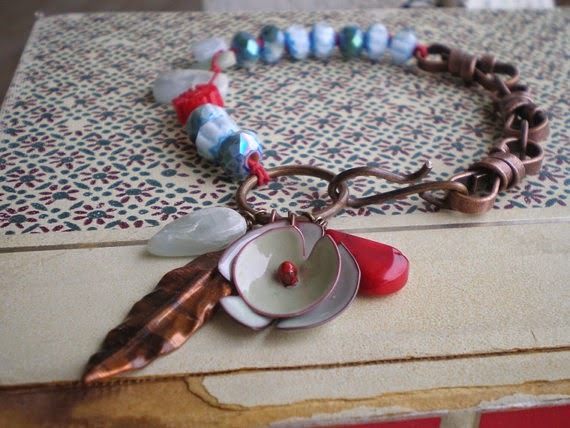 I love that an art bead gives me something to design around or that it fits a challenge. That is from a bought bead. Turn it around and I love that a challenge gives me an inspiration to create a bead and move beyond myself creatively.